Its been well over a month since I last shared a Snap Snap post, so I have lots of catching up to do! - First of all, it wouldn't be a Snap Snap post without featuring Beabea. 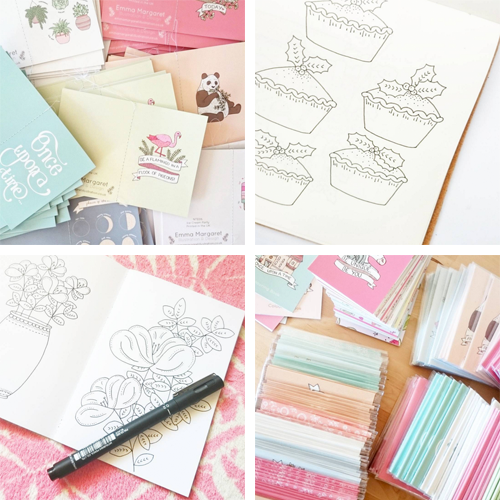 - I treated myself to some lovely things from one of my new favourite online shops, Sticker Stack. - Florals are always a big feature in my sketchbooks. - I've been making lots of these Positive Thoughts Colouring books as they've been pretty popular in the shop. - I've also made some new products! These are the A6 notebooks part way through production. - With Christmas approaching my sketchbook pages have started to look a bit festive. - Trying to make a habit of drawing something every day, even if its just a quick doodle. - Organising stock for Crafty Fox Markets. - Packaging up lots of stock for craft fairs. 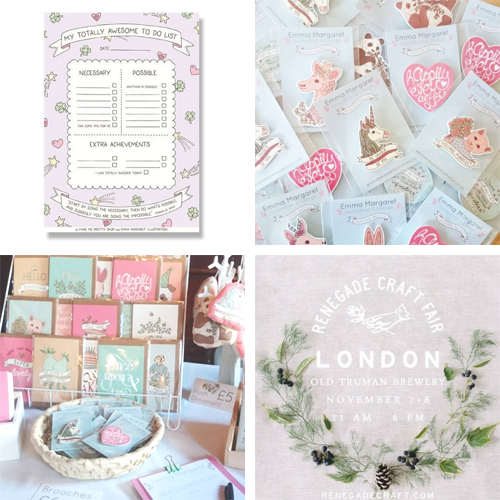 - My stall at Crafty Fox Market in Brixton a few weeks ago. 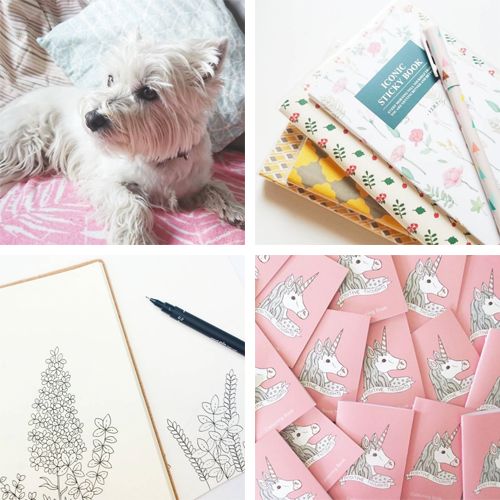 - I got the exciting news that I'll be selling at Renegade Craft Fair on 7th and 8th November (Just over 2 weeks to go!). Expect to see lots of snaps of my preparations for this over on Instagram. - Another new product, A4 prints. 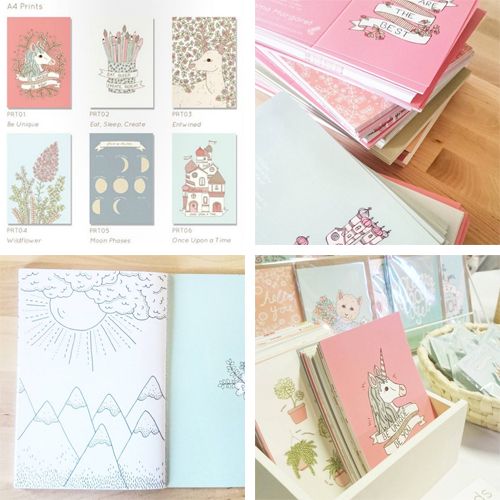 I also gave my wholesale catalogue an update, let me know if you're interested in stocking my work and I'll send you the link! - A big deliver from the printers consisted of some new Christmas cards as well as re-stocking some older designs. - The A6 notebooks that aren't quite good enough to make it in to the shop automatically become my doodle books. I've already finished one and got half way through another! They're the perfect size for quick doodles at lunch time. - A little section of my stall at Crafty Fox Market in Peckham. - Packing up an order for my newest stockists, The Fox and Spindle in Margate. - More festive drawings in the sketchbook, I've been working on some more Christmas products to debut at Renegade Craft Fair. - A recent doodle obsession: gems. 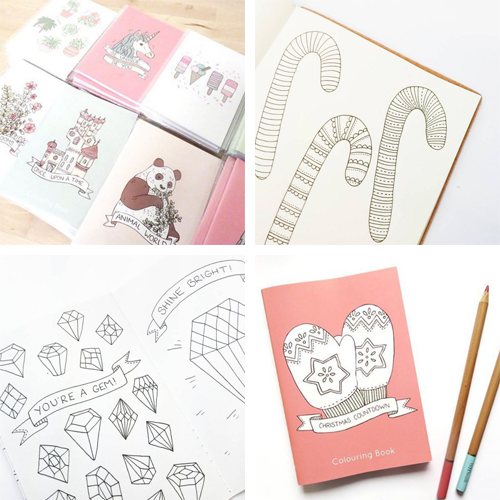 - My newest product: Christmas Countdown Colouring Book.